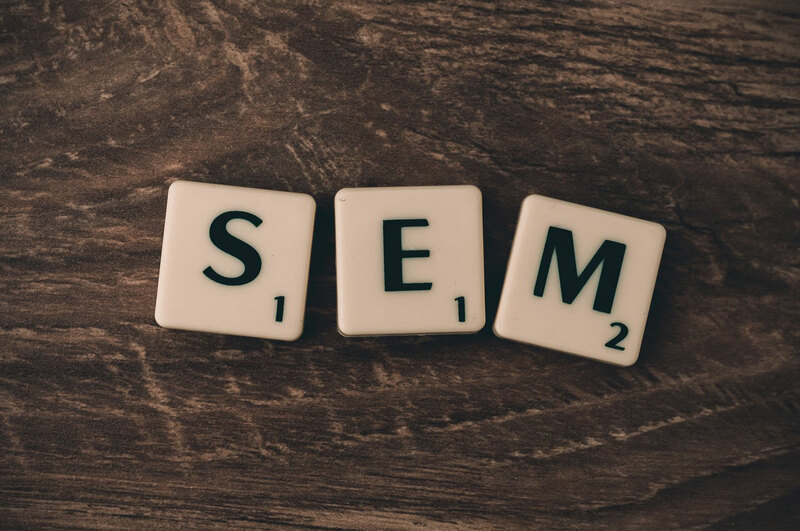 What is Search Engine Marketing (SEM), aka "SEO"? Pay per click (Adwords) - These are the ads which appear RIGHT AT THE TOP of Google, at the bottom, and often the right with Google Shopping ads (see below). Google Shopping - These are the ads which appear on the right and are accompanied by a picture of the item for sale. 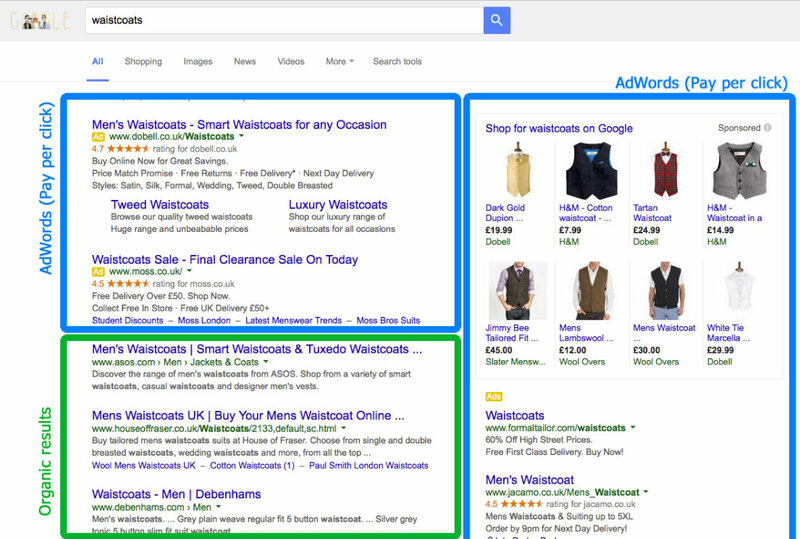 As you can see below, adwords or shopping based ads now take up most of the page on the the majority of product based searches on Google. One of our motivations for writing this article is to dispel a few myths. We come across quite a few clients (or prospective clients) who still seem to think that you can appear highly on Google by inserting some meta tags and a bunch of keywords into your website. WRONG. This has not been the case for at least 10 years. Google has evolved considerably over the years, and continues to do so. Meta tags for example haven’t had an effect in rankings since at least 2009, if not before. Getting other people to link to your website (preferably those who are relevant to you). Or, by uploading such wonderful products and such interesting blog content that people link to your website without you having to ask! Many clients of ours are getting emails (often from offshore companies) offering to sell them links to their websites, with the promise of great rankings. DO NOT BUY THESE LINKS. Google knows when links aren't genuine links, and will penalize you in the results rather than reward you. There is no way to "cheat" with organic listings in Google, certainly not any more. And any ways that are discovered to "cheat" Google will eventually be discovered by Google and end up leaving you penalized in the results rather then rewarded. Many big updates from Google over the past few years have resulted in websites going from the top of Google to the abyss because they bought in links. Do you want to rank well on Google? If you don't have a clue where to start with Adwords, we can help. We provide Adwords management, and we focus on making you money, on sales, and a profitable return on your investment. We can get you rankings within days, not months. Pricing starts from £395/month+VAT, plus Google Adwords budget (min £600/month). The secret to having a successful website isn't just about Google, and, your website does not have to be at the top of Google to be successful. There are lots of other ways people can reach your website; from social media, to email marketing, to offline campaigns and more! So don't place all your focus on Google.